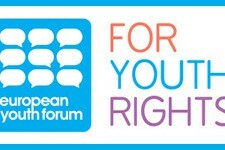 The European Youth Forum is an international organisation comprised of over 100 national youth councils and international non-governmental youth organisations in Europe. The European Youth Forum has three main goals: greater youth participation; stronger youth organisations; increased youth autonomy and inclusion. It runs a range of events such as training, conferences, workshops and seminars on key youth issues often in partnership with the Council of Europe, European Presidencies, European Commission and the United Nations.